Why Choose Ceramic Dental Implants? Dentists have considered dental implants the gold standard for tooth replacement for decades. This is because dental implants can last a lifetime, preserve the jawbone and look and function like natural teeth. Implant patients find they are more confident in their smiles, have better physical health and mental health. As implant material technology has improved, so have dental implants. Titanium was once the material of choice for implants, but now zirconia has emerged as the elite implant material. Zirconia is a naturally white material that is strong and carries the same benefits as titanium, but is 100% metal-free. 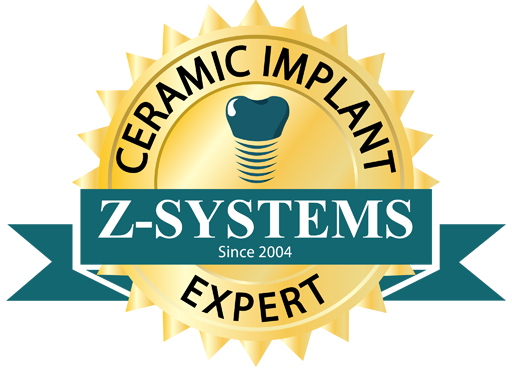 Ceramic dental implants are made from zirconia and are many times referred to as zirconia dental implants. Learn more about the benefits and structure of ceramic dental implants and find out if you are a candidate. 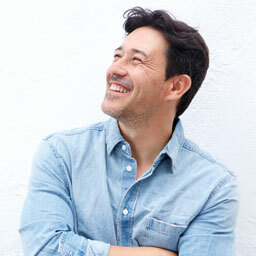 When considering dental implants, many questions require you to do your own research. Especially when considering the different types of material that dental implants are made from. So, which is the best type of dental implant for you? Is it metal implants made from titanium or ceramic implants made from zirconia? Which implant type is more aesthetic and natural-looking? Which implant is stronger and longer-lasting? Which implant provides less bacterial growth? Which implant provides for faster treatment and results? Which implant provides less corrosion? Which implant has health concerns associated with it? Click below to have these questions answered and decide which dental implant type is the right choice for you. 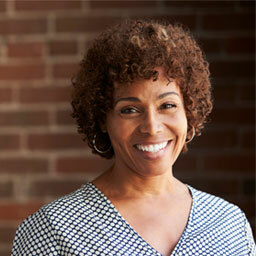 The #1 thing we hear from our ceramic implant patients is: "I wish I would've done this sooner!" That's because this type of implant procedure isn't just dental work. It's a life-changing procedure that not only gives you your smile back, it provides you with a new and improved quality of life. Improving your smile, confidence, and health is always a great investment. Average range of cost of dental implant materials and supplies. Average range of cost for the skill & expertise of your dental implant expert. A dental implant cost chart that gives a range of possible cost for ceramic dental implant procedures. Examples of the types of payment plans that are commonly offered through financing options at some dental practices. Other great ways to afford your dental implants that you may not be aware of. Unlike ceramic implants, which are made from metal-free zirconia, metal dental implants are made from titanium, aluminum, nickel and other metal and alloy materials. And unfortunately, these metals can corrode in your mouth over time leading to some devastating outcomes for your overall systemic health. Medical concern for the use of titanium dental implants is a valid one that should not be overlooked. Click below to learn more about metal hypersensitivity and about the symptoms that can range from simple skin rashes to severe and chronic autoimmune disorders.